For marketers, it is common to examine demographic trends of a changing society. Social forces are one of the key environmental forces impacting companies’ product and market development. By understanding what is evolving in society, companies are better suited to produce the products and services needed by consumers. Americans are more racially and ethnically diverse than in the past, and the U.S. will be even more diverse in the next few decades. Asia has now replaced Latin American as the biggest source of new immigrants to the U.S.
America’s demographic changes are shifting the electorate – and American politics. Millennials (born after 1980) are the new generation to watch. Women’s role in the labor forces and leadership positions has grown dramatically. The American family is changing. The share of Americans who live in middle class households is shrinking. Christians are declining as a share of the U.S. population, and the number of U.S. adults who do not identify with any organized religion has grown. The world’s religious makeup will look a lot different by 2050. What do these findings mean in marketing? 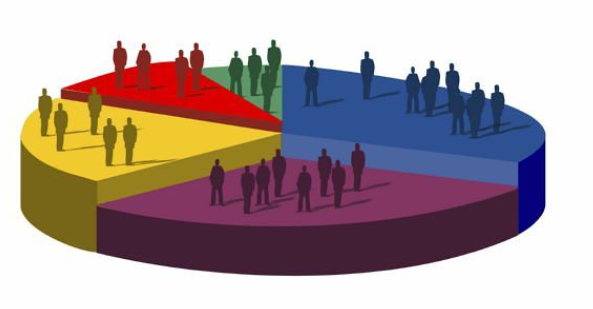 Discuss the importance of demographic forces in describing a target market. Divide students into teams. Have each team examine a different finding. Have each team then explain the finding and how it could be used when marketing a product or service.